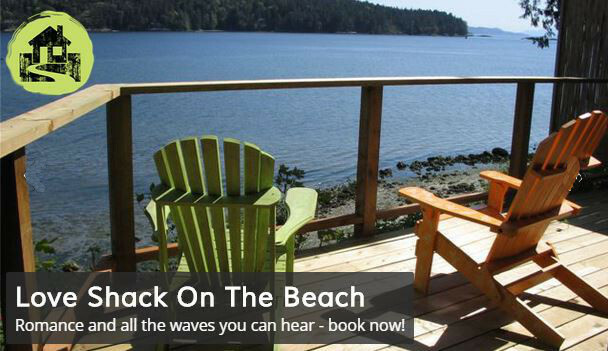 When planning your getaway to Salt Spring don’t forget to pack fishing rods. Salt Spring Island is surrounded by waters teeming with sea life and also has many well known lakes including the renown St. Mary lake. There are many fishing opportunities on Salt Spring Island including non-traditional 'fishing' of crab, prawns and shellfish. 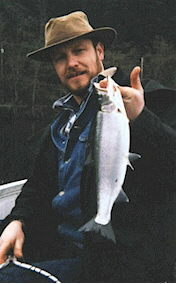 Salt Spring Island Reel Action Fishing Charters will take you on a fishing adventure. Top of the line equipment and expertise is available to make sure your fishing trip will be one to remember. Salmon can be found all year in the waters around Salt Spring; Chinooks are consistently caught all year, with pinks, sockeye and chum runs here in late summer. Active Pass is a favorite fishing spot for all species. Crab lovers won't be disappointed with Ganges Harbour. Its muddy bottom provides ideal habitat for Dungeness and Red Rock crab, large dungys (8”+) can be found in only 40 to 50 feet of water. Prawns are abundant in rocky bottoms areas north and south of Salt Spring. Oysters, clams, ling cod, rock cod, and sea cucumber are other species that can be found in our waters. NOTE before eating oysters, clams or any other bivalves check with the local coast guard office for PSP/red tide closures (paralytic shellfish poisoning). Rainbow and cutthroat trout, and small mouth bass are found in St. Mary lake. St. Mary is a jewel among lakes, it is a shallow lake, flanked east and west by sheltering hills making it ideal for flyfishing. The shallows, and there are lots of them , are chock full of bass easily fished for from shore. Over the years the lake has coughed up some trophy bass up to 7-8 pounds although the average is about 1 1/2 pounds. Three - five pound rainbows and cutts are routinely caught both baitfishing and flyfishing. Other noteworthy lakes include Cusheon, Weston, Stowell, and Blackburn.